BIO-SEA is proud to be onboard the Saint-Exupéry ! 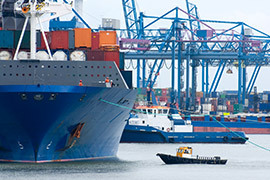 BIO-SEA is the sole and unique French ballast water treatment (BWT) specialist providing a range of complete solutions for ships' ballast water management (BWM). 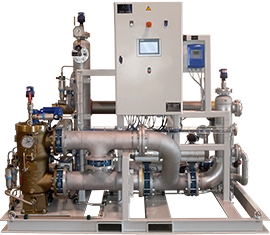 The BIO-SEA technology combines mechanical filtration and UV disinfection providing solutions of chemical free tratment compliant with the BWM regulation: IMO Convention and USCG regulation. BIO-SEA both manufactures SKID BWT systems for new bulding and MODULAR BWT systems for retrofit projects. The BIO-SEA range has numerous benefits: adaptable, compact and able to treat automatically all flow-rates from 10 to 2000 m3/h per ballast reactor. BIO-SEA works with the most important turnkey project partners: ship owners, shipyards, shipbuilders (OEM) and the greatest system integrators around the world. Thanks to its sale and service partners, BIO-SEA is able to deliver solutions and parts throughout the world.